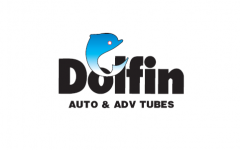 Dolfin Rubbers IPO Description - Dolfin Rubbers is engaged in manufacturing of Auto and Animal Driven Vehicle (ADV) tubes supporting the tyre industry near Ludhiana (Punjab). Its range of rubber tubes, suitable for tyres of various types of vehicles viz., Mopeds, Scooters, Motorcycles, Cars, Jeeps, Buses, Trucks and Tractors with the use of Butyl rubber. Dolfin Rubbers IPO allotment status is now available on Bigshare Services' website. Click on this link to get allotment status.